Z-Uno Shield is an extension board for Z-Uno for easy installations. It requires no soldering and not programming — configure, wire and include in the network. 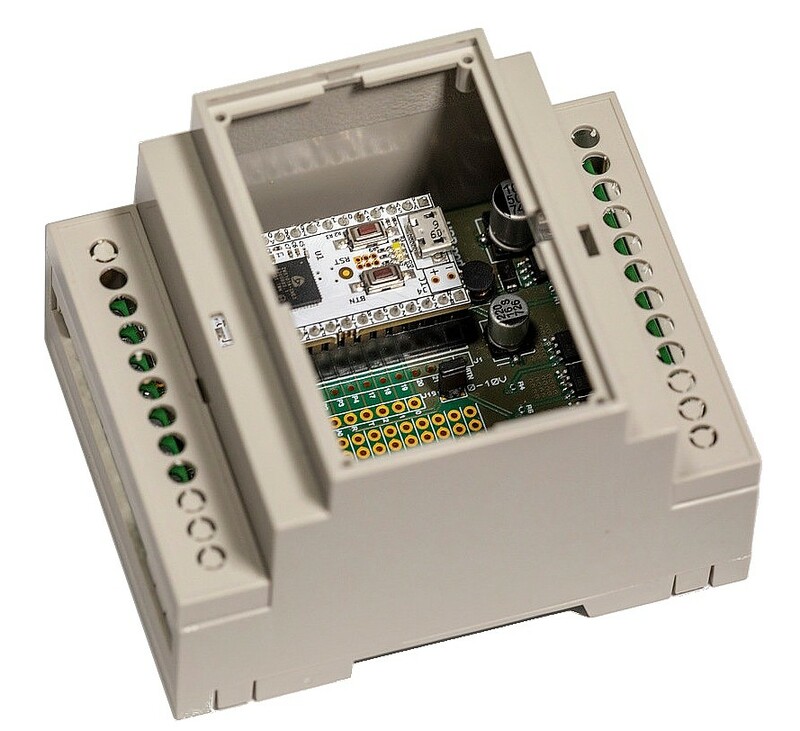 Z-Uno Shield comes in DIN-rail case or Sealed case and have terminal strip for easy connection. An easy-to-use configuration tool will help you to define the behaviour of your Z-Uno Shield depending on the connected devices. 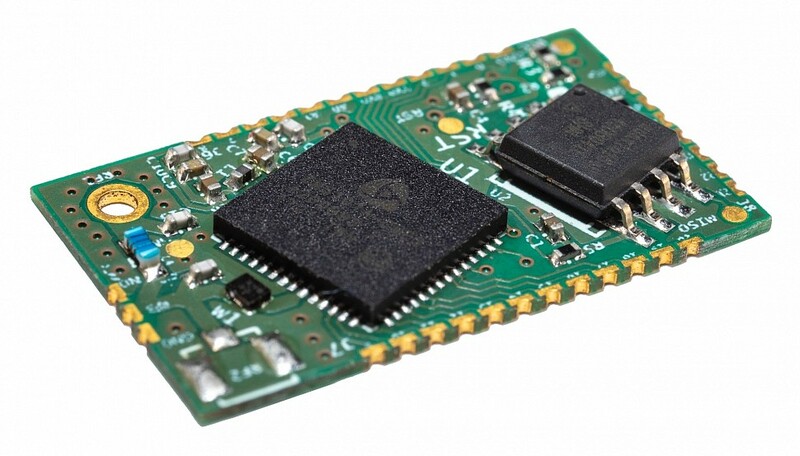 Z-Uno Module is a tiny version of Z-Uno designed to fit in your devices. From prototype to volume production: Z-Uno Module is fully compatible with Z-Uno, but is designed for SMD production process. 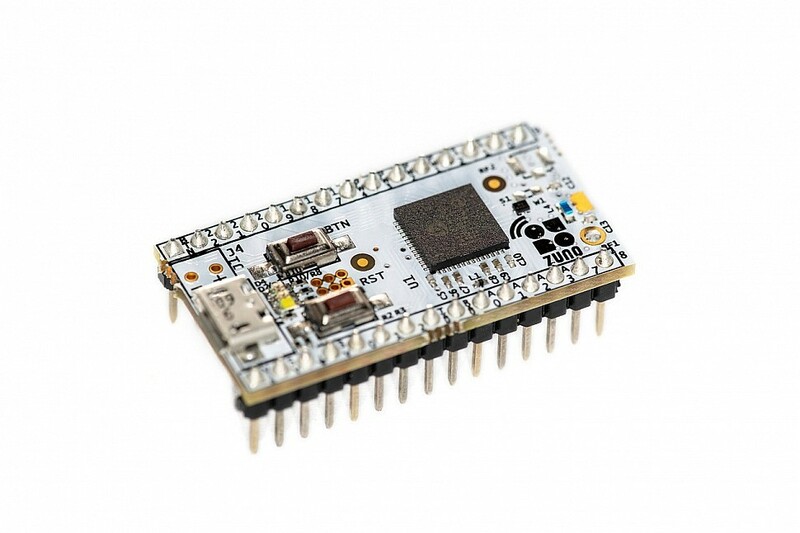 Z-Uno Module is your perfect way into the growing IoT world. Already own a Z-Uno? Check how to get started! 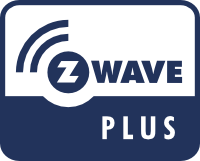 Get more technical details and check Z-Uno pinout.